A level start to the walk as you head towards Quarr Abbey, originally a Cistercian site dating from the 12th Century. The present Abbey, however, was built in the early 20th Century by Benedictine monks. Running a little further from the coast than later sections you move inland after crossing the Wootton Creek. 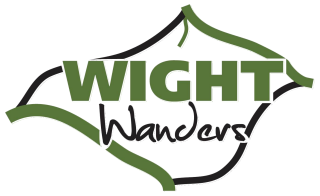 As you walk through the small villages leading into East Cowes and arguably the best or at least the most popular, tourist spots on the Isle of Wight, the stunning Osborne House, and a favourite retreat of Queen Victoria. Thereafter the trail continues down to East Cowes and crosses the river via the chain ferry to West Cowes. There is plenty to see on this section, wandering through the sailing town of Cowes with its bustling sailing shops before passing the Royal Yacht Squadron as you leave Cowes. In addition to the world-famous Cowes Week in early August, there tend to be boating events on at most times throughout the season. The trail leads you along cliff tops before descending onto the beach at Thorness bay where your likely to see wading birds, including oyster catchers, ringed plovers and redshanks. It was at this beach during World War II that the pipeline used to supply fuel to the invading allied forces came ashore. After the Thorness Holiday Village you veer away from the coast and inland through the Newton National Nature Reserve with further bird watching opportunities on offer.